Trailing coleus are a staple for mixed containers and baskets. 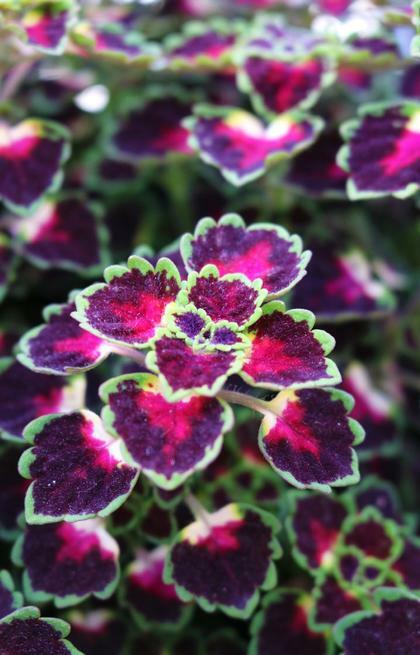 These small scalloped dark rose leaves with a yellow center mark have a brilliant green edge. These are nicely vigorous and provide a contrast to blooming annuals. Named after the longest waterfall in the world - 1.5 miles - on the border of Argentina and Brazil.